July 12, 2012. Lynn Stout, Distinguished Professor of Corporate & Business Law at Cornell University, discussed the way our perceptions of the role and responsibilities of corporations have changed over recent decades. Her newest book is The Shareholder Value Myth: How Putting Shareholders First Harms Investors, Corporations, and the Public. Hugh Sinclair, an economist and former investment banker, has worked with various microfinance banks, peer-to-peer organizations, microfinance investment funds, rating agencies and investors. 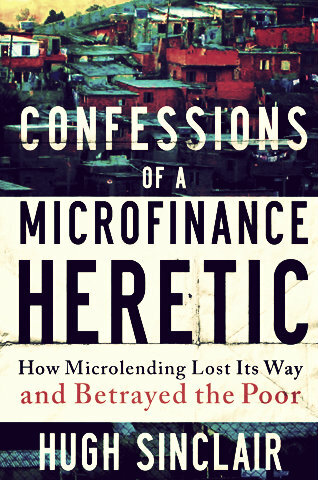 He discussed his recent book, Confessions of a Microfinance Heretic: How Microlending Lost Its Way and Betrayed the Poor.